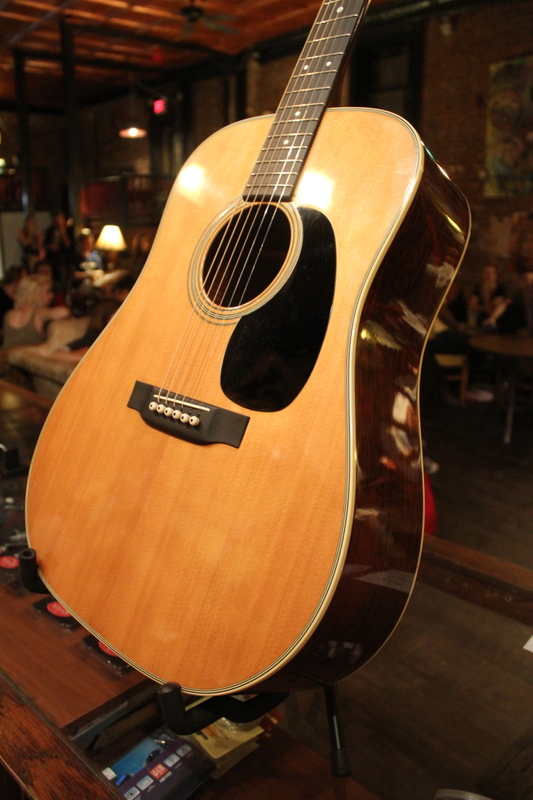 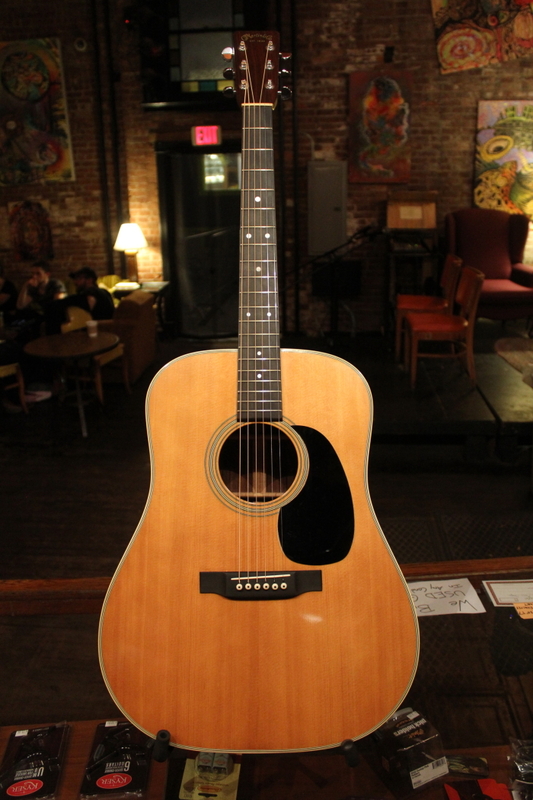 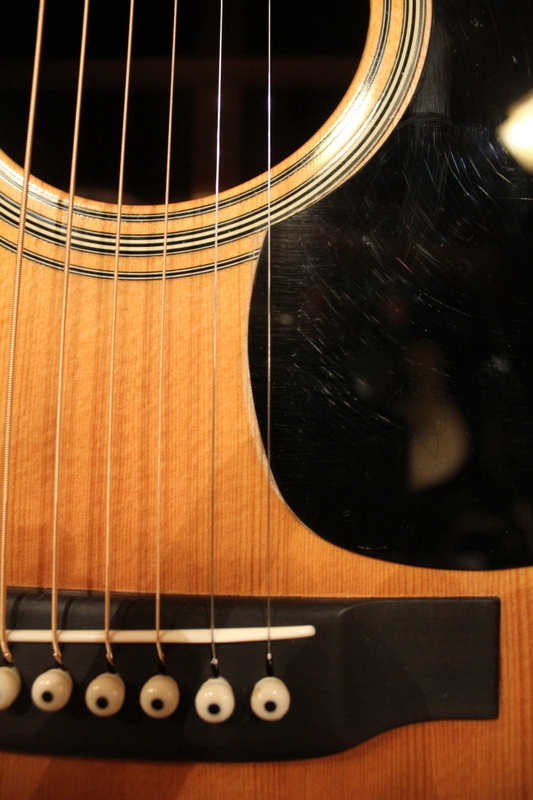 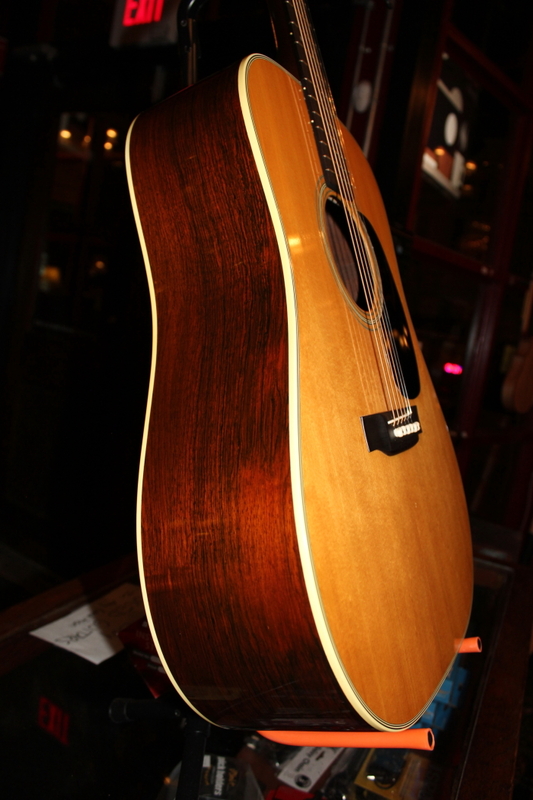 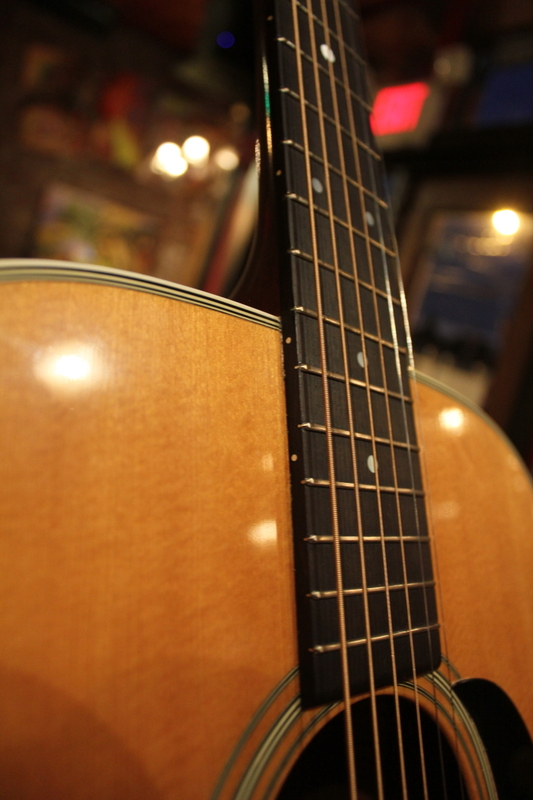 The Martin D-28 is an unpretentious looking dreadnought guitar that has been honed for tone. 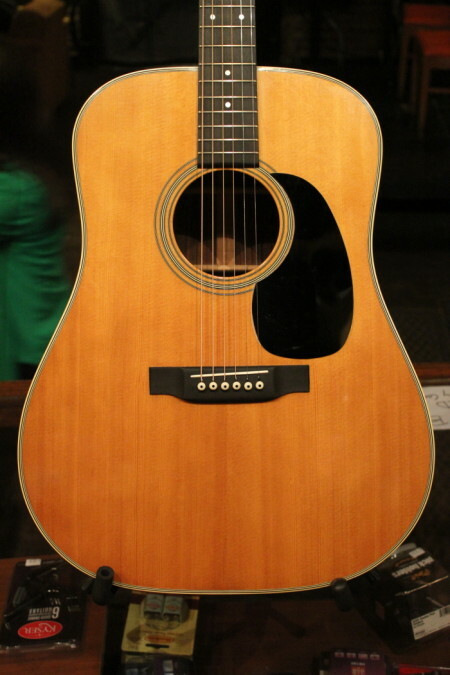 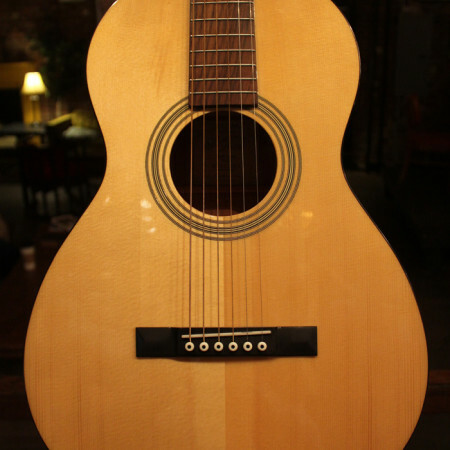 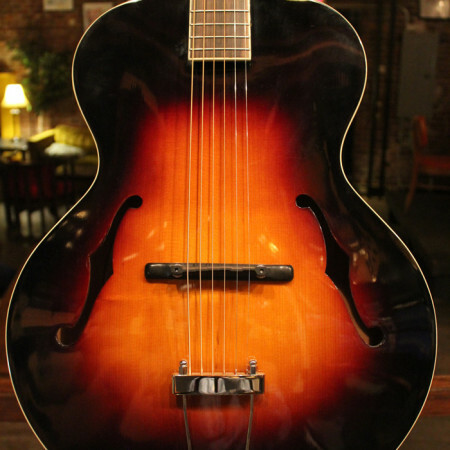 A long list of players (John Lennon, Johnny Cash, Paul McCartney, Clarence White, Tony Rice, Hank Williams, Neil Young, Bob Dylan, Elvis Presley, Chris Martin, Noel Gallagher, Jimmy Page, Nick Drake) have enjoyed the deep, rich tone of these guitars, which are great for both vocal accompaniment and fiery solos. 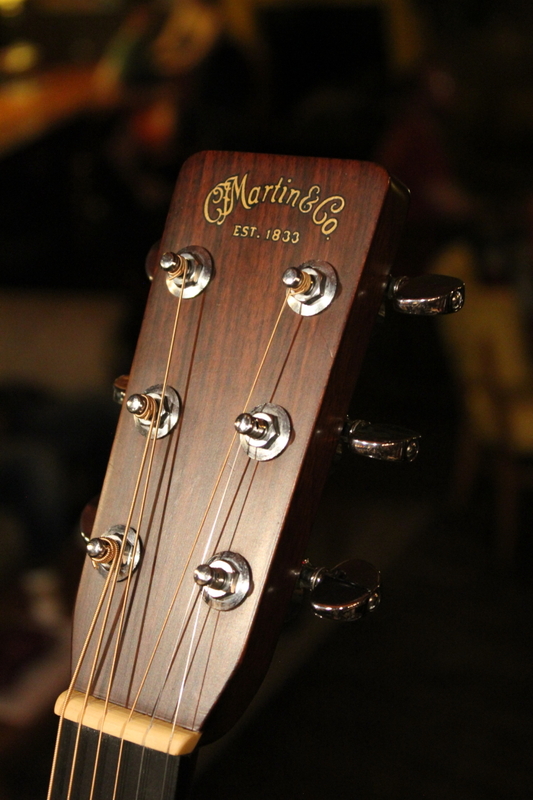 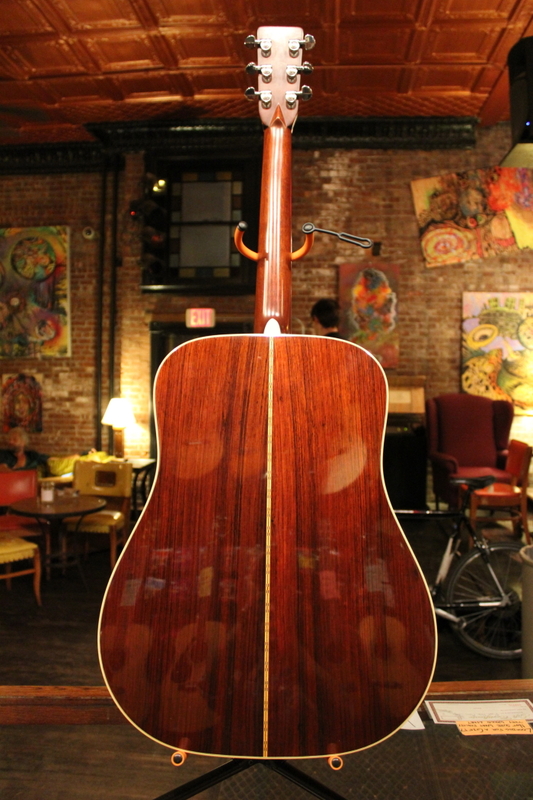 This particular 1968 Martin D-28 is about as nice as they come. 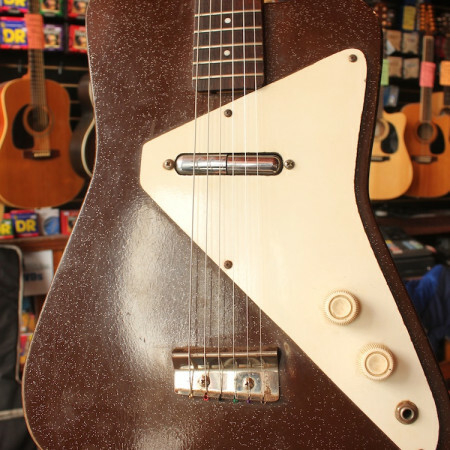 Stored for much of its life in a cedar closet, this D-28 is more or less a time capsule piece. 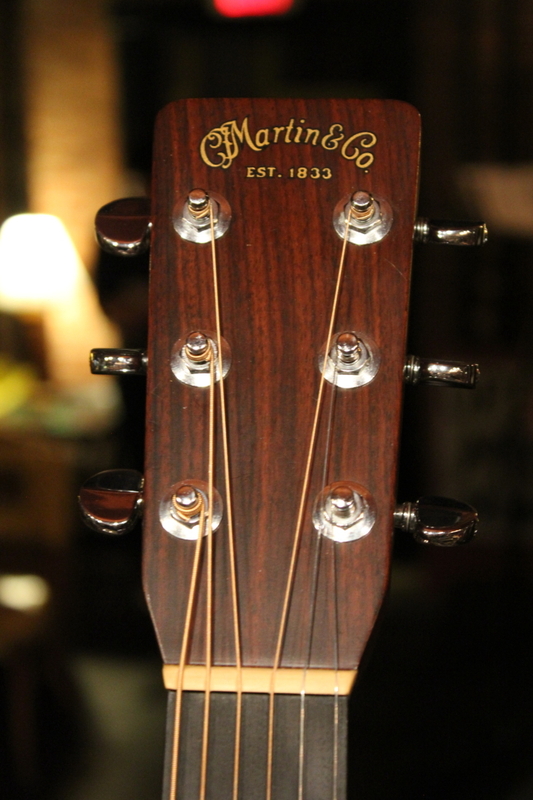 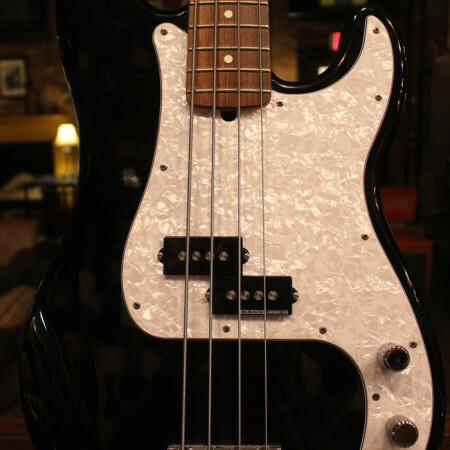 It is all original, aside from the customary pick guard replacement that is typical on old Martins. 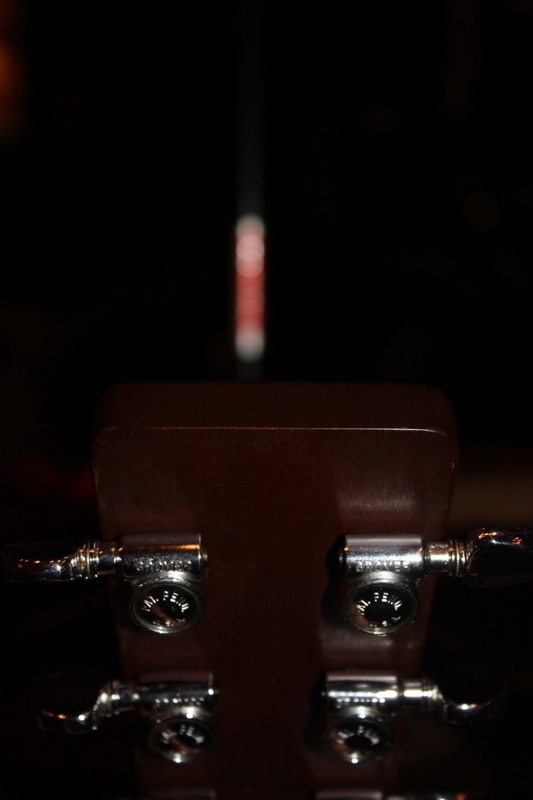 The sound is deep and rich, with massive bass response that is balanced with tight clear highs. 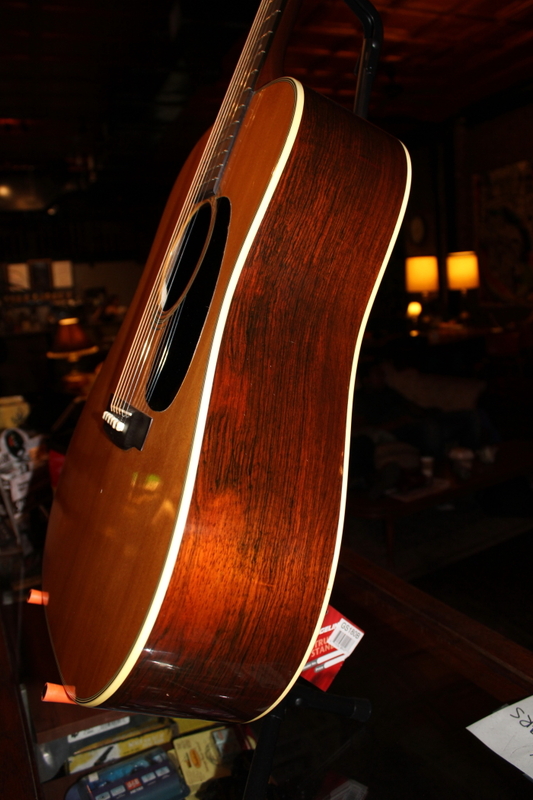 These D-28s will continue to hold their prices due to the scarcity of Brazilian Rosewood and the resulting trade embargo against the wood. 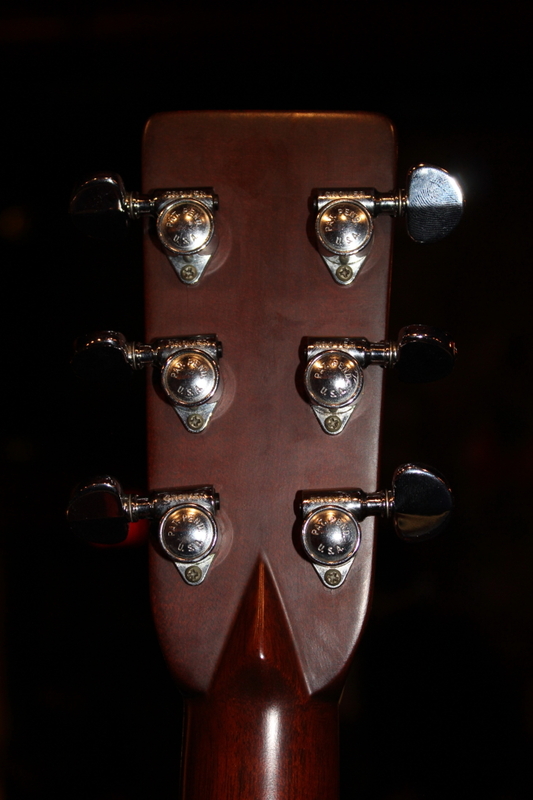 The action is 3/32 (6/64) at the Low E 12th fret, and at 5/64 at the High E 12th fret. 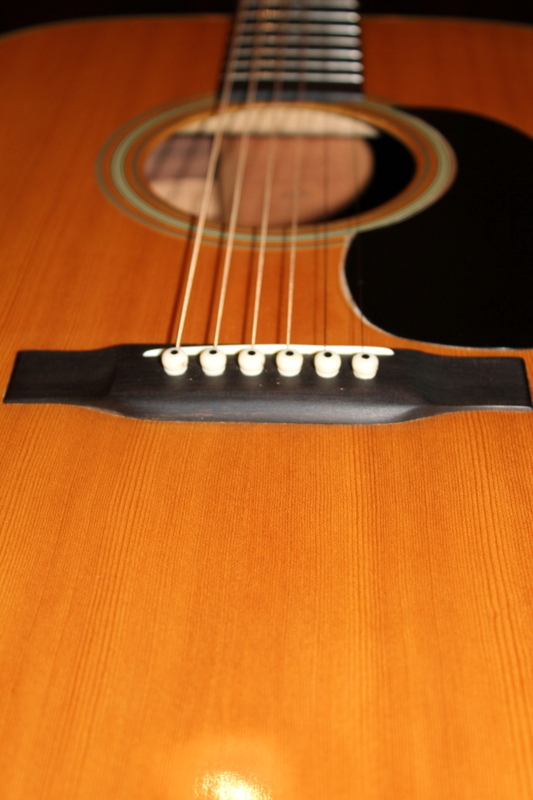 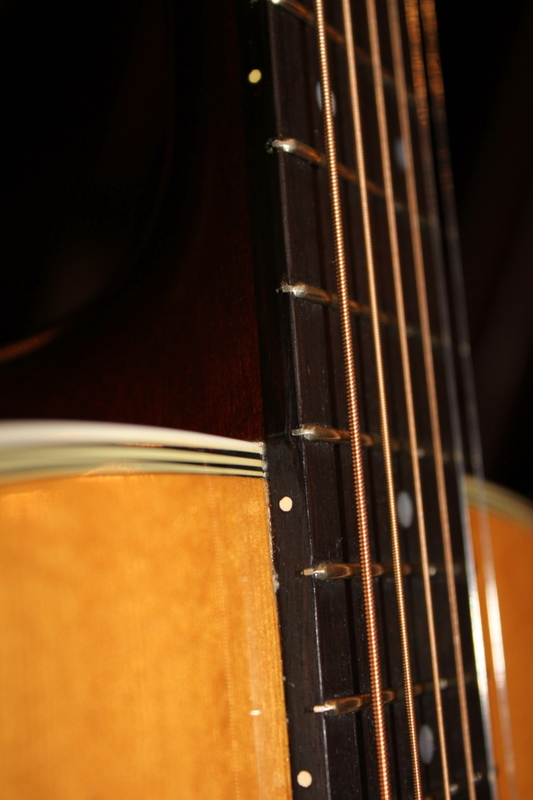 There are no dead frets or grooves in any of the frets or in the fretboard . 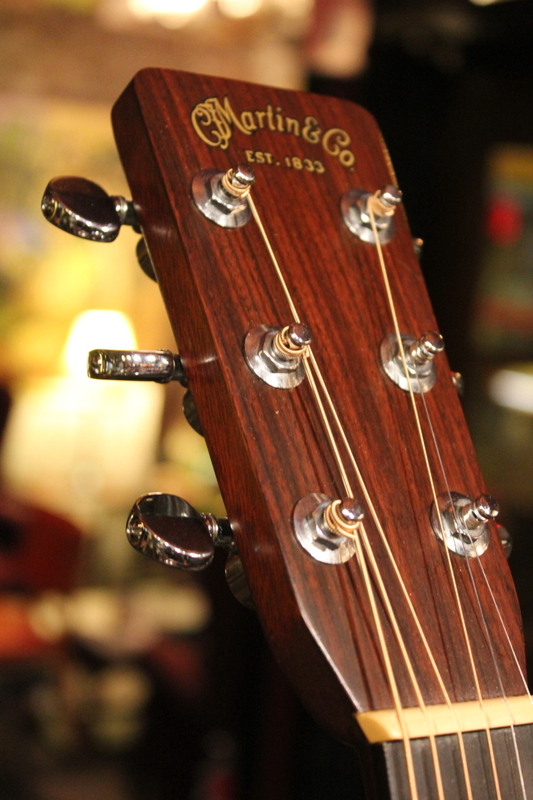 The guitar plays beautifully up and down the neck. 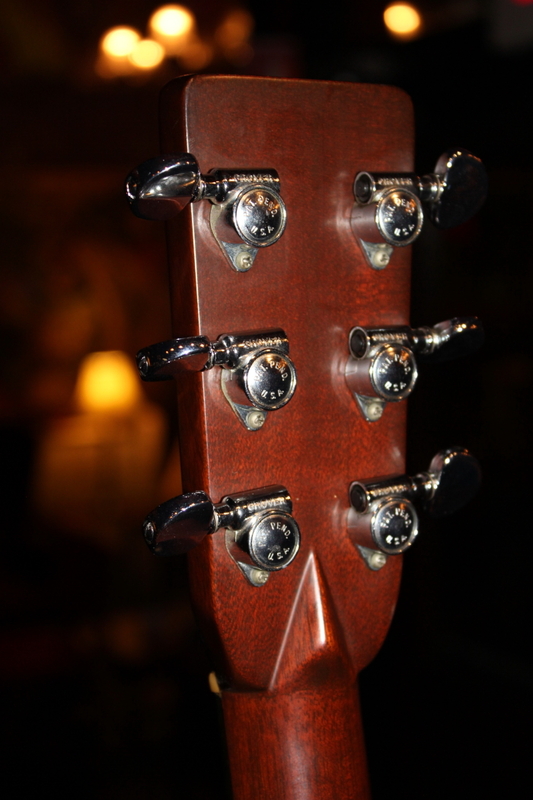 The neck may have been reset in the past, as there is some indication of a neck reset by the heel, but it does not need a neck reset now. 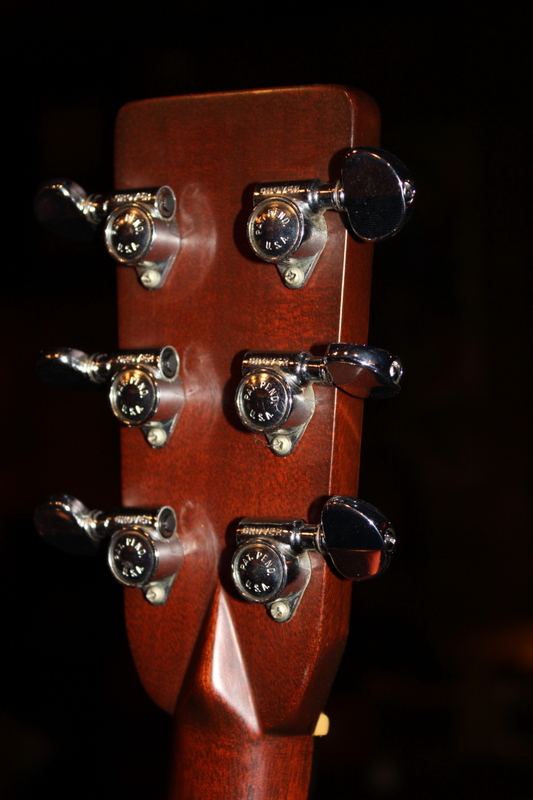 The finish appears to be original. 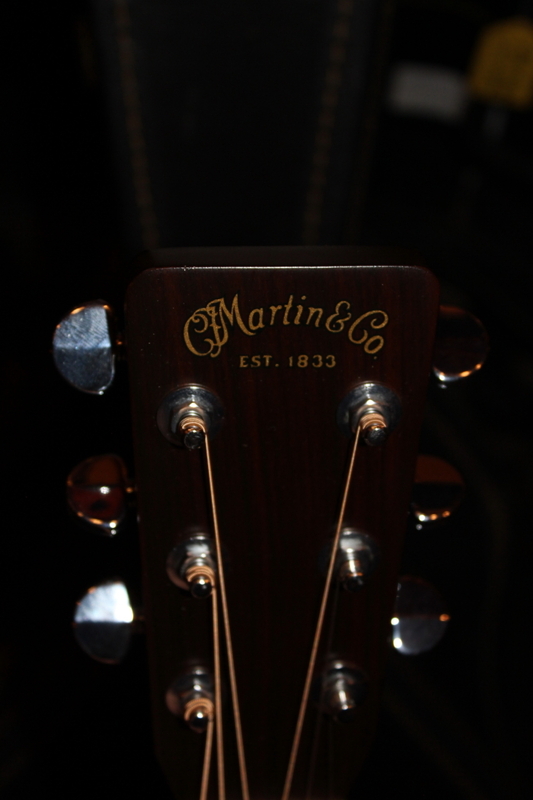 Past the 14th fret Martin never finished the side of the fretboard, and this D-28 still has matte finish on the fretboard edge past the 14th fret, so it is likely original. 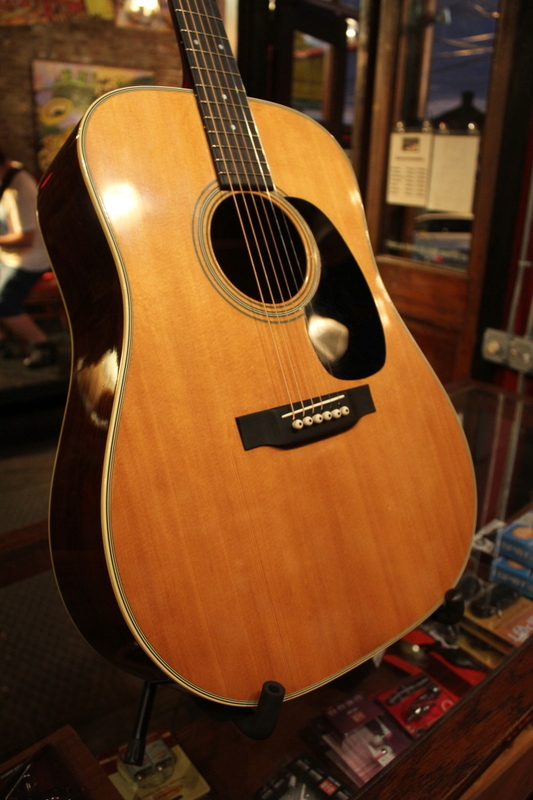 This is a rare chance to get your hands on extremely excellent condition 1968 Martin D-28 that plays as good as it looks. 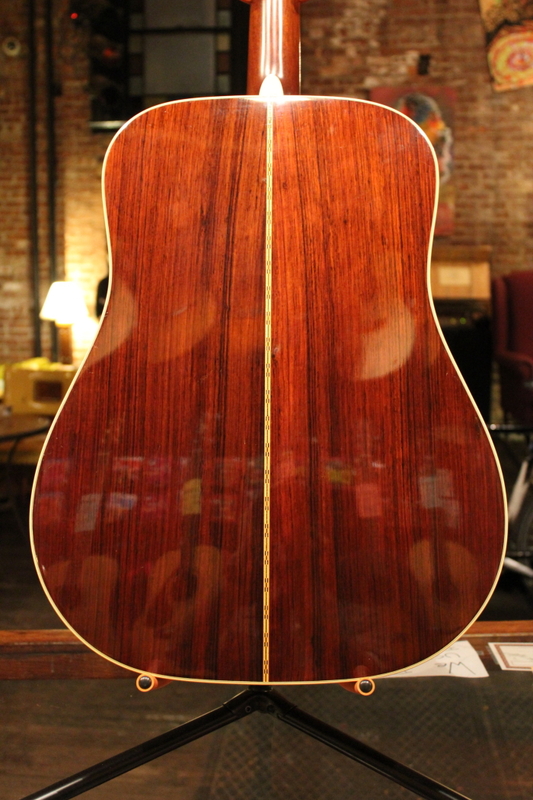 Call us for an in hand description.